I did it. I got a custom bike. 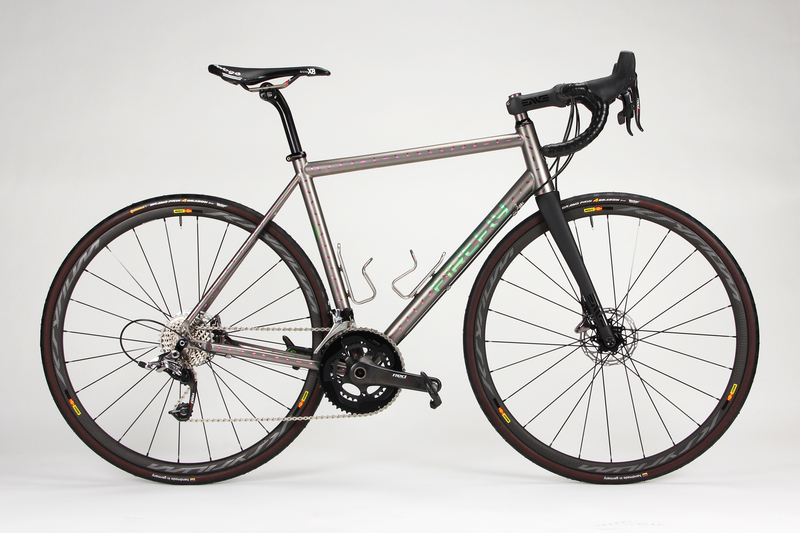 A custom Firefly Titanium bike from Tyler, Kevin, Jamie and Daniel out of Boston Massachusetts. In the process of fit, ordering and making final selections, I learned a bit about my body and more importantly thought a lot about what kind of riding I will be doing for the next several years. First on the fit, I have been riding a 56cm top tube for as long as I can remember but after meeting with Firefly bike fitter and designer Kevin Wolfson, we decided to go with a 55.2 cm top tube. I had been experiencing pain with my left shoulder while on rides over three hours. In the process of measuring my body I came to learn the reach on my left arm is a full inch less than my right arm’s reach. In future bar room brawls over discs on road bikes I will stick to my right hook and stay away from my left jab. Kevin delivered the news with tough love and simple honesty of a Mickey Goldmill character. Thanks Kevin. Real talk — I give credit to this anatomical feature to a separated shoulder a few years ago. 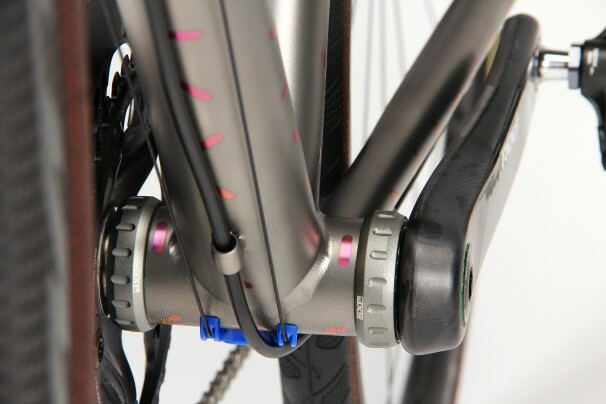 Though I lost 8mm off my top tube the wheel base stretched out to 99.7cm from my current 97.5 cm on my current Time road bike. Wheel base extra cm’s for some stability. I like this a lot. Like a lot of everyone these days I spend a fair amount of time on gravel, specifically the limestone paths of northern Illinois. 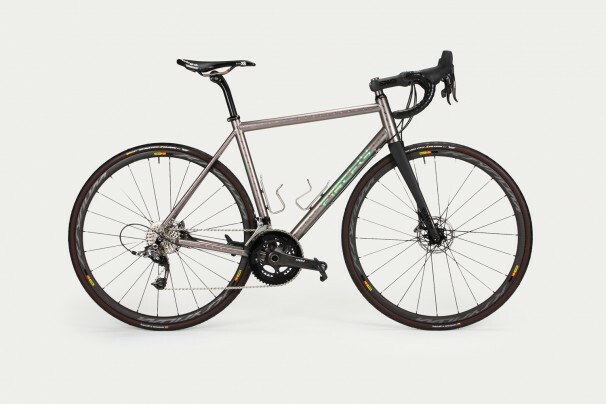 As much as I love the sleekness and compact nature of a traditional road frame I also have similar love of fatter tires, longer wheel bases and stopping on a dime. 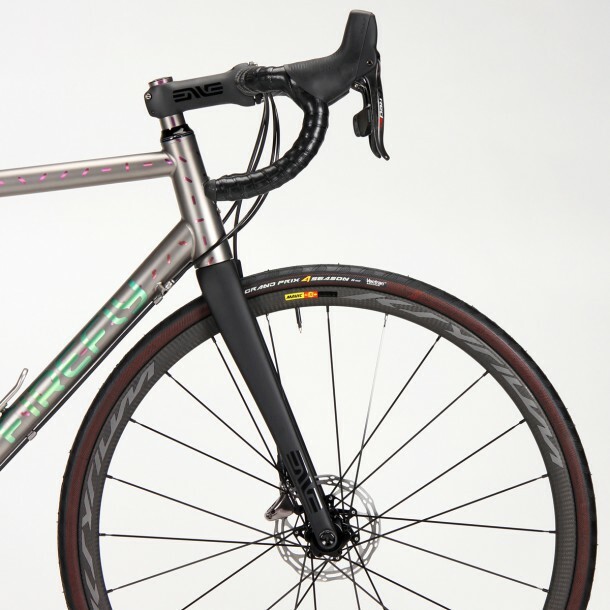 Cue the Firefly Road disc which can handle up to 32mm tires due the extra clearance in back and the new Enve road fork. 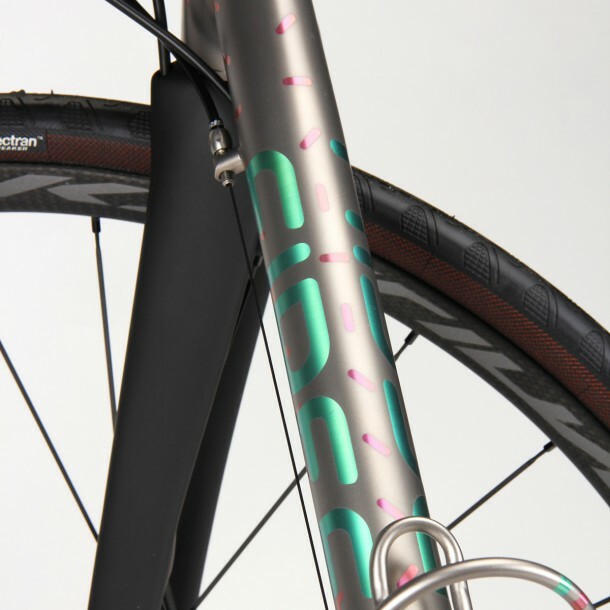 The finish on the bike is of course #sprinklewatts. 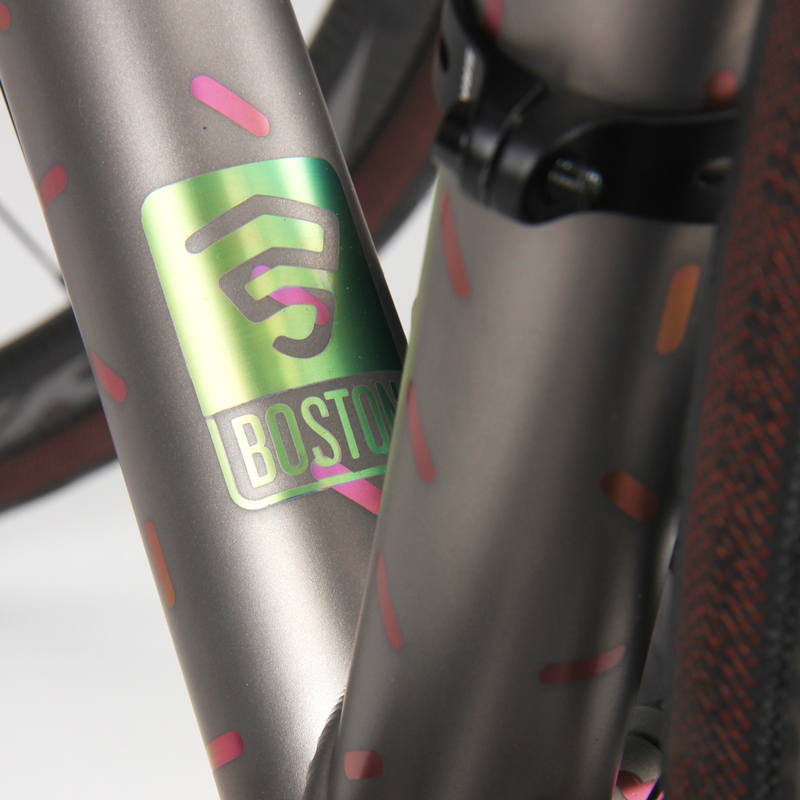 Pink anodized sprinkles and a green Firefly name plate. Tyler Evans, Mr. Titanium Welder kept me updated with texted images of masking and anodizing. It looked exhausting and I can only imagine if they gave me this job at Firefly I would have been fired after one hour. By the way, as a 4th grader I was traumatized by cutting and exhibiting paper snowflakes in our classroom windows, so detail work and old fashioned scissor work is not my specialty. 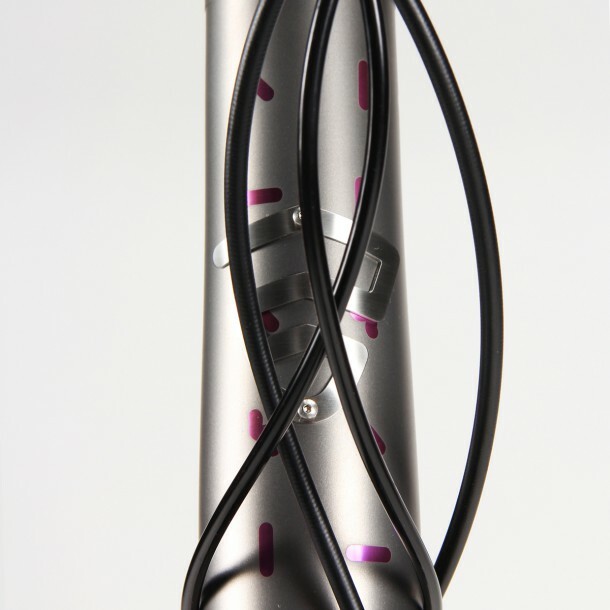 Lucky for me and you, detail work is Firefly’s specialty from fitting, machining titanium tubes, fabricating and finish. 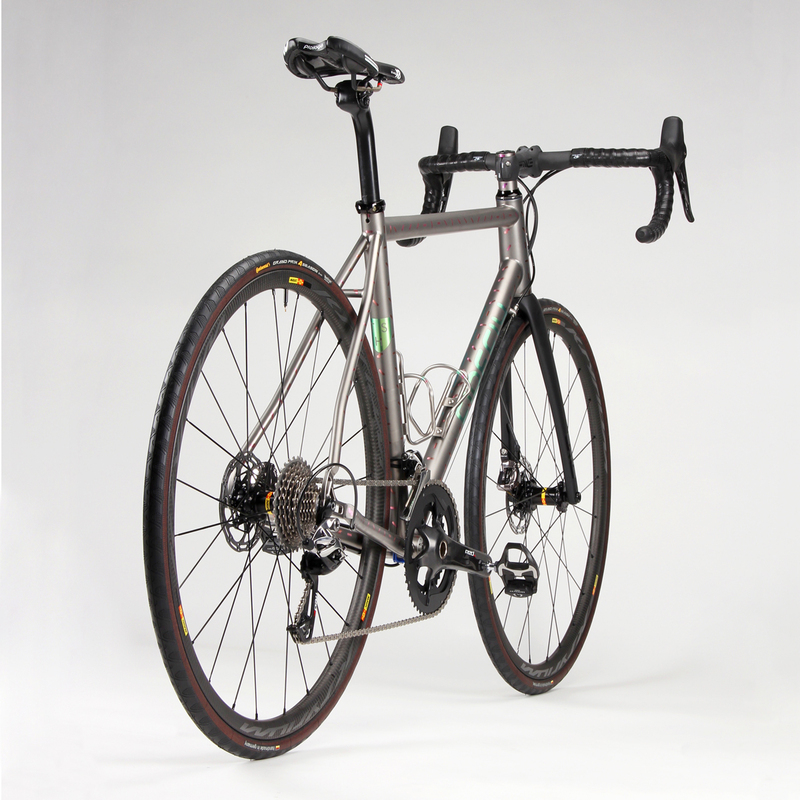 More updates as I ride FF-625 Road Disc. For now I will let the gallery below speak for itself!